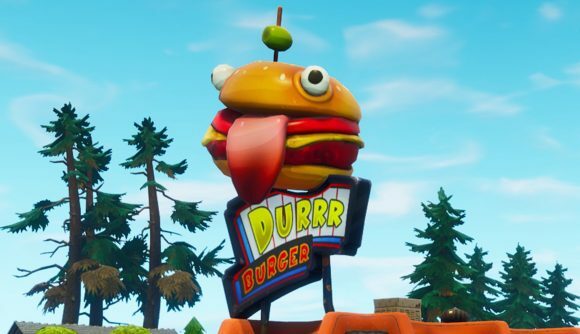 The Durr Burger itself might have relocated during the launch of the latest Fortnite season, but it’s about to become even more prominent in-game. The latest datamines have uncovered a host of new skins and items, including a fresh Durr Burger look to keep the action looking tasty. As well as that tasty burger, which acts as a very tasty alternative to the TomatoHead skin, there’s a Panda skin based on the Cuddle Team Leader model, and two very 80s-looking skins that will definitely be familiar if you played Radical Heights. Elsewhere, there’s a very cool ‘Galaxy’ skin, but StormShieldOne seem to think that it won’t be available in the item shop. There are also two racing skins – Whiteout and Overtaker – that should be very familiar to fans of Top Gear, as they’ve very clearly been modelled after everybody’s favourite mute racer, The Stig. Finally, there’s a Sushi Master skin to get your hands on too. As ever, there are plenty of other cosmetics too. Pickaxes, gliders, and backpacks based on the new skins have all shown up. Particular highlights are the box of fries that fulfills the role of the backpack in the Durr Burger set, and the gliders fashioned after high-speed motorbikes. You can check out the full set of new cosmetics in the thread below. We’ll keep you updated on all the Fortnite skins as we hear about them. If you need to level up your battle pass a bit more, check out our Fortnite season 5 week 4 challenges guide for info on what you’ll need to get done this week.